The vanilla extract most people are familiar with is obtained from the seed pods of a species of orchid native to Mexico. Also known as West Indian Vanilla, Tahitian Vanilla and Vanilla Orchid, the plant is an important commercial crop and export of Madagascar. The exotic and floral fragrance of the tiny seeds inside each vanilla “bean” lend a spicy-sweet flavor to cakes, cookies, breads and other baked goods. Vanilla is also widely used in the cosmetic and perfume industries. Please note: There are approximately 24 beans per 1/4 pound. Vanilla planifolia is a vine from the Orchidaceae family. The plant's short-blooming flowers are greenish-yellow and are about 2 inches in diameter (5cm). There is less than 1% chance that the flowers will be pollinated in the wild, so in order to receive a steady flow of fruit when grown on farms, the flowers must be hand-pollinated. The flowers are pollinated manually in the morning hours, since they last only a day. The plants are self-fertile, and pollination simply requires a transfer of the pollen from the anther to the stigma. If pollination does not occur, the flower will drop the following day. Only mature plants (generally over 10 feet in length) will produce fruit. The fruits are pods 6-9 inches long—and often incorrectly referred to as "beans". The word vanilla, is derived from the diminutive of the Spanish word vaina which means "sheath" or "pod", and so, simply translates as "little pod". 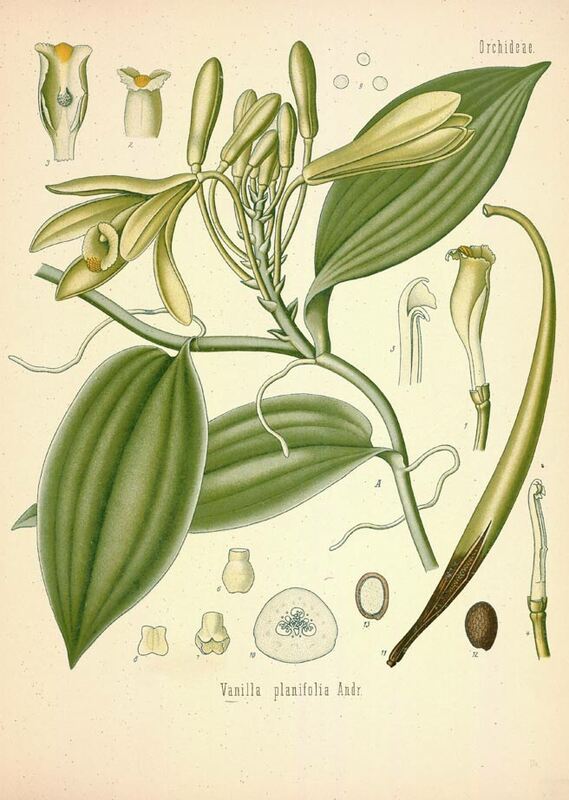 Vanilla planifolia is a species of vanilla orchid that is native to Mexico, also found in Central America and the West Indies. It is harvested mostly in Mexico and Madagascar. Vanilla planifolia prefers hot, wet, tropical rainforest climates in indirect sunlight. 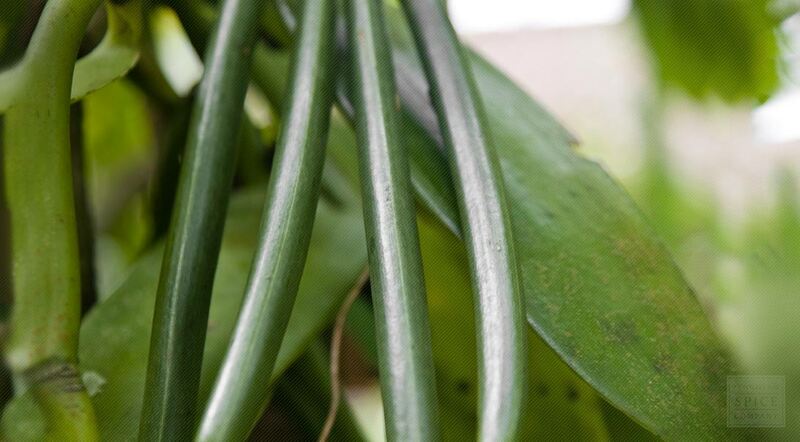 Vanilla plants begin growing in rich, fertile soil, but will soon climb and grow on nearby tropical trees and at some point the plant base will rot away and the plant will be truly epiphytic (a non-parasitic plant that grows on another plant). Vanilla propagates readily from cuttings grown in a warm, humid greenhouse. Vanilla plants grown from cuttings will take three to four years to flower. Fruits ("pods", "beans") mature after about five months, at which point they are harvested and cured. Curing ferments and dries the pods. Curing also minimizes the loss of essential oils. Vanilla extract is obtained from this portion of the plant. Store cured vanilla in an airtight container in a cool, dry place.